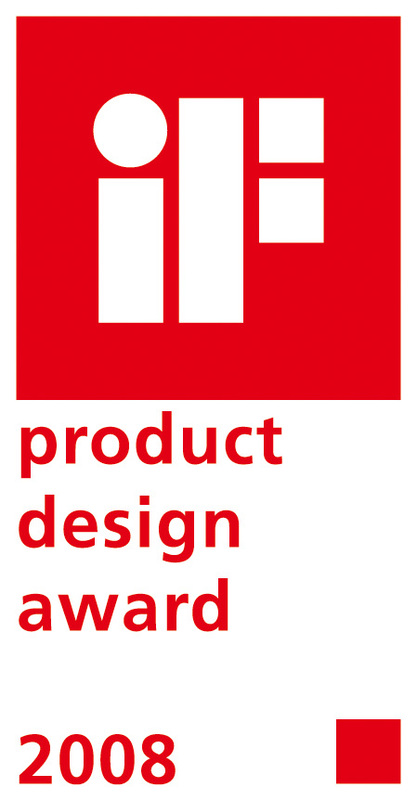 "2008 iF Industrial Design Award"
Flow + Temperature Sensor is the most progressive technique and is created exclusively to satisfy the demands of customers. In the quality of design, this product perfectly combines temperature sensor and flow sensor in one unit for the concept of monitoring synchronously. This sensor features high precision, user-friendly handling, and space-saving version. The multi-colored LED bar plus three-digit monitor can display indication of the flow and temperature range as well as output signals separately. 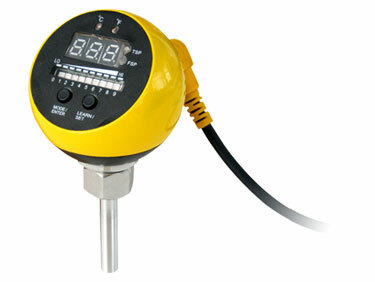 In addition, the users can easily set the range and adjust the unit of temperature via pushbutton. All setting can be protected using the electronic lock function against unauthorized use. Thanks for the state-of-the-art microprocessor; this product can work stably for applications in hazardous areas over a long-term period. It benefits the users with the countless reliability of operating safety and the possibility of cost-saving. In response to the policy of EU, this product surely follows the RoHS directives with green awareness. Shaped as a golf ball by die-casting with materials of aluminum alloy and a one-piece stainless steel, the interface of this product is canted by 45 degrees and skid-proof by design of transverse veins behind the body. This not only could rich the vision of the working area but also could enhance the extra value in depth to reinforce the brand image through the integration of functions and the elegant design.